I am really lucky. My class is full of amazing mothers and they are also incredibly supportive in terms of volunteering or sending things we need for the classroom. 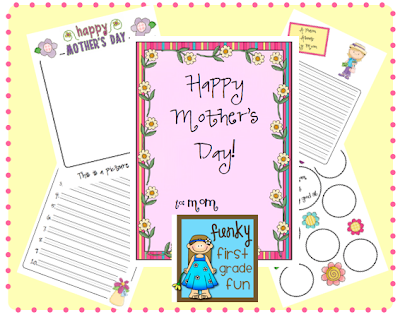 This week, each of my students will make a little book to give to their mom. We will also be making a crafty gift to go with the book, but I have not decided what to make yet. I'm kind of bored with the projects I've done in the past. Hope ya'll are having beautiful weather like we are in Michigan!